"Johnson incorporates both lively and reflective moments, abundant dogsledding details, and basic accounting concepts." "A tale of loyalty and friendship...that hits all the right notes." Eleven-year-old Matthew Misco just wants to fly—or should we say sled—under the radar. Things are hard enough at school with kids making fun of him for his parents' off-the-grid life-style, but life gets much worse when he is assigned a long-term math project: to start his own business. He has to ace this assignment to save his failing grade. But what is he even good at? The only thing he truly loves doing is running his team of dogs. 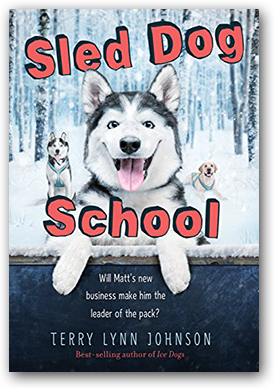 Funny, heartwarming, and full of the joy of dogs, Sled Dog School is about overcoming adversity, finding your strengths, and your friends, and following your passions. "From contending with school bullies to increasingly learning to value his family and their off-the-grid lifestyle, Matt's experiences are supportively portrayed in accessibly written, straightforward prose. 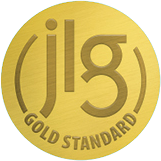 Johnson incorporates both lively and reflective moments, abundant dogsledding details, and basic accounting concepts and examples." "Themes of friendship and problem-solving are slipped effortlessly into the funny and fresh plot, and authentic off-the-grid details bring the story to life.... A tale of loyalty and friendship—with a strong dose of validation for readers who learn from doing rather than books—that hits all the right notes."